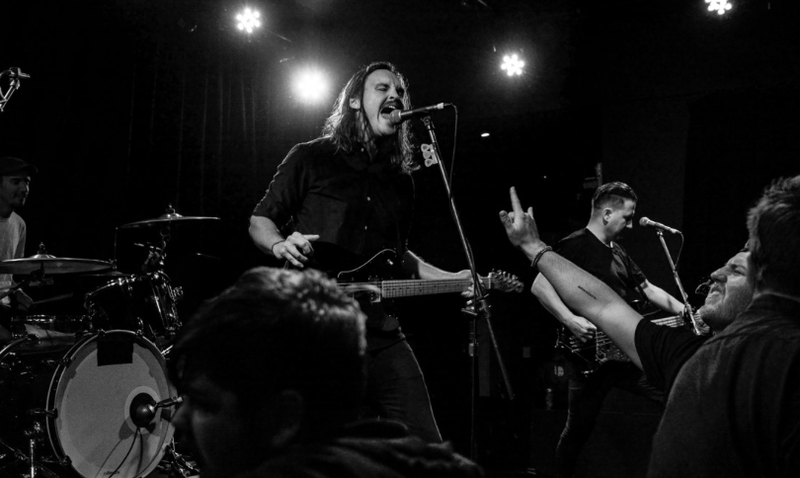 Melbourne's very own Ceres kicked off the first stop of their album tour at Northcote Social Club on Friday night. From the get-go, the room was buzzing, and all the excitement from the sold out room promised to be a good night. Openings for Ceres were APES, who have returned with new music in recent weeks. They rocked the crowd with their dancy alt-rock magical tracks such as 'Pull The Trigger' and 'If You Want It'. I've missed APES this past year and it's exciting to see them back and better than ever. The opened up their set with 'Okay' from their most recent album Drag It Down on You. Their fans are passionate, and it was clear that the guys on-stage were feeding of this incredible energy that was bursting from their fans. Despite the touching mellowness of 'Okay', it still drove their fans into a frenzy — it sure was a beautiful sight. The next track 'Happy in Your Head' saw Ceres pick up some steam, consequently seeing moshing levels increase rapidly. Their on-stage charisma with one another as well as with the audience was impressive. Lead singer's Tom Lanyon banter was refreshing, considering that their music deals with some heavy topics, including his dad's death. Lanyon mentioned his dad's death when he introduced '91, Your House'. One of the things that made me smile during their set was watching the crowd during their slower songs like 'Nothing on Your Shoulders'. You could see that they were itching to start moshing and struggled to remain composed when Ceres slowed down the pace for a little bit. If I had to encapsulate the vibes of the crowd with one anecdote from the night, it would be that one — they were amped, hanging onto the next moment when they can go crazy, scream at the top of their lungs and mosh. They closed up their set with 'Baby's Breath' impressively. We all knew that night was going to (sadly) come to an end at some point, but no-one was ready for that moment to happen yet. They left the stage with the audience still going a wild, and it was clear that no-one was moving until they gave us one more song. Thankfully, they did. Their encore of 'Jam Song' was bittersweet — the crowd were sad that this was the official end of the show, but at least we were all left with memories of a show that won't be forgotten for a long time.